You only need 5 ingredients to make these gorgeous Nutella Cheesecake Chocolate Cups. Creamy Nutella cheesecake covered in a thick chocolate shell – the perfect no bake dessert. 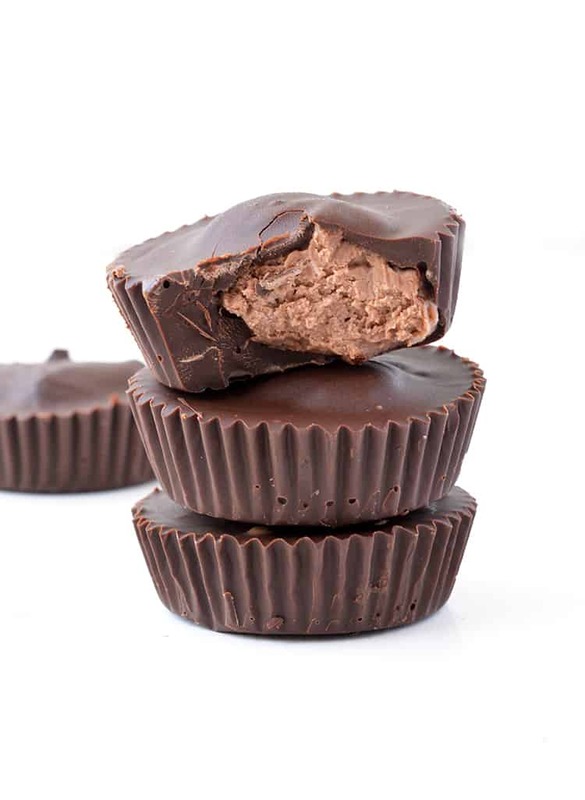 Say hello to the latest chocolate cup creation to join our ever-growing collection. Nutella Cheesecake Chocolate Cups with a crisp dark chocolate shell and a creamy Nutella cheesecake filling. Creamy, crunchy and ridiculously easy. Yes to it ALL! I love making chocolate cups. Little morsels of chocolate goodness, each one with a surprise inside. 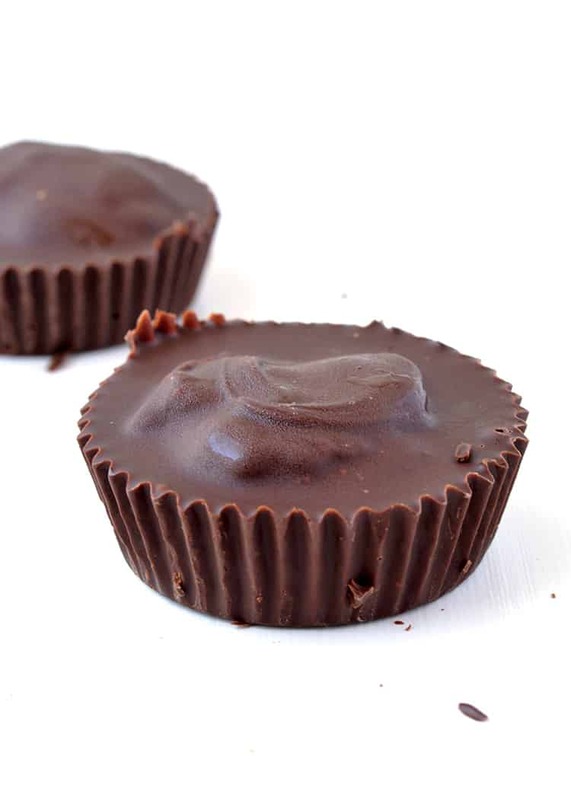 It all started when I made these Cookie Dough Chocolate Cups. They’re still my favourite way to eat chocolate chip cookie dough. 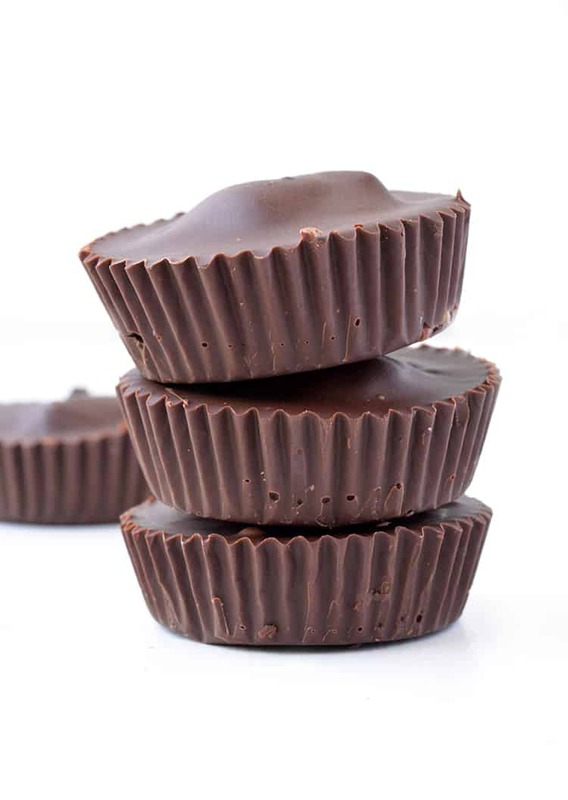 And over the years, we’ve made many more chocolate cups, including peanut butter ones, marshmallow ones, even caramel ones and coconut ones! But now it’s ALL about that Nutella. 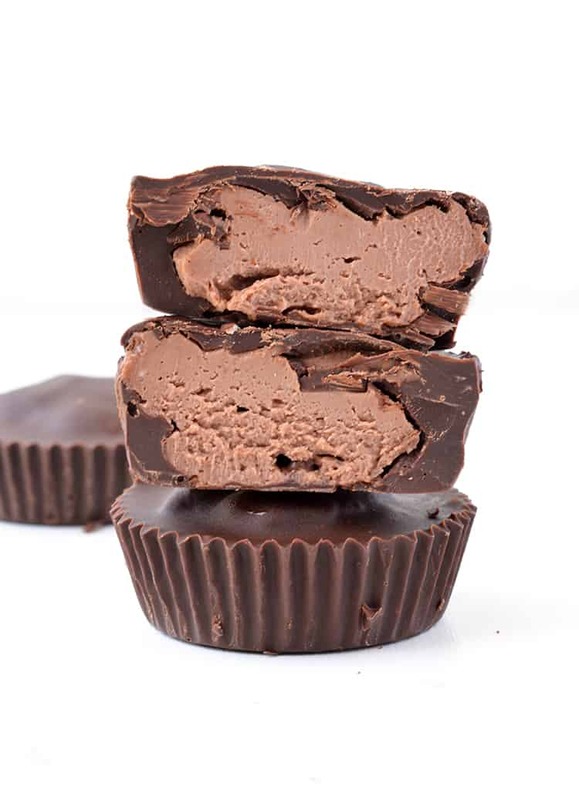 Inside each chocolate cup is a creamy Nutella cheesecake filling, made with just 4 ingredients. 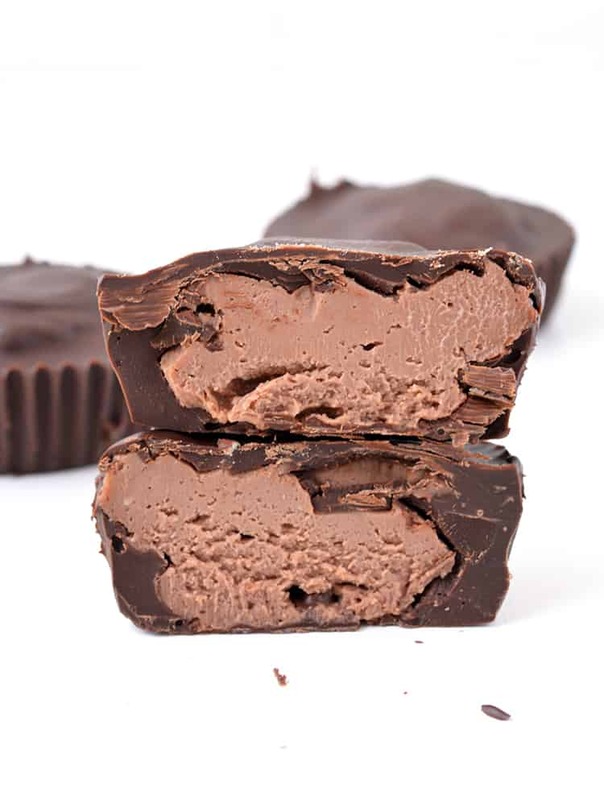 It has a creamy mousse-like texture that blends perfectly with the thick dark chocolate shell. 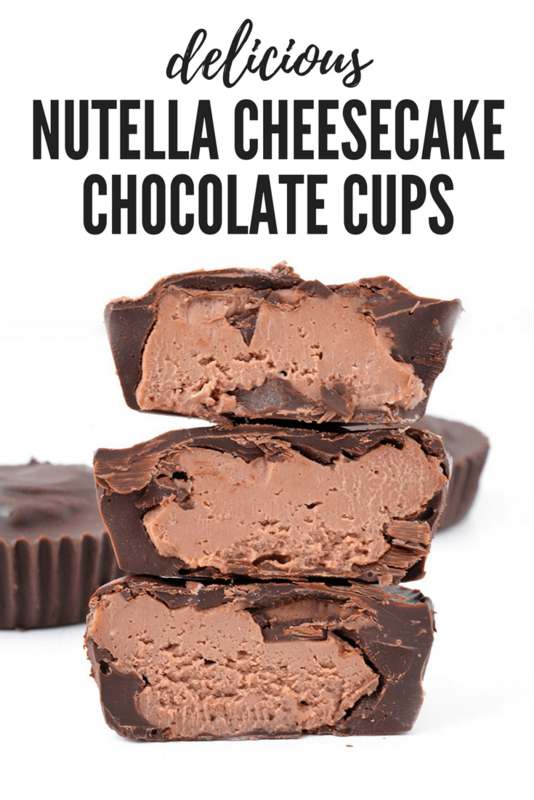 These Nutella Cheesecake Chocolate Cups are perfect if you need an after dinner treat or as a sweet party snack to share around. All I know is they won’t last long – trust me! Just like my Nutella Cheesecake, these gorgeous chocolate cups are guaranteed to be a total crowd pleaser! And they come together in just 15 minutes flat. So what are you waiting for? Let’s EAT Nutella Cheesecake Chocolate Cups! These easy Nutella Cheesecake Chocolate Cups have a crisp chocolate shell and a creamy cheesecake filling. Line a 12-hole muffin tray with cupcake liners. In a large mixing bowl, add the cream cheese and beat with an electric mixture for 1 minute or until smooth and creamy. 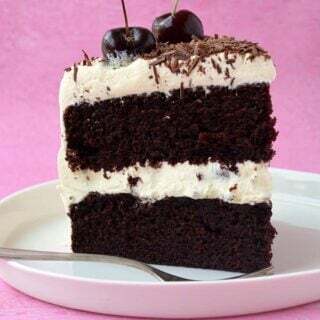 Add Nutella and vanilla and beat to combine. Add sour cream and beat briefly until smooth. 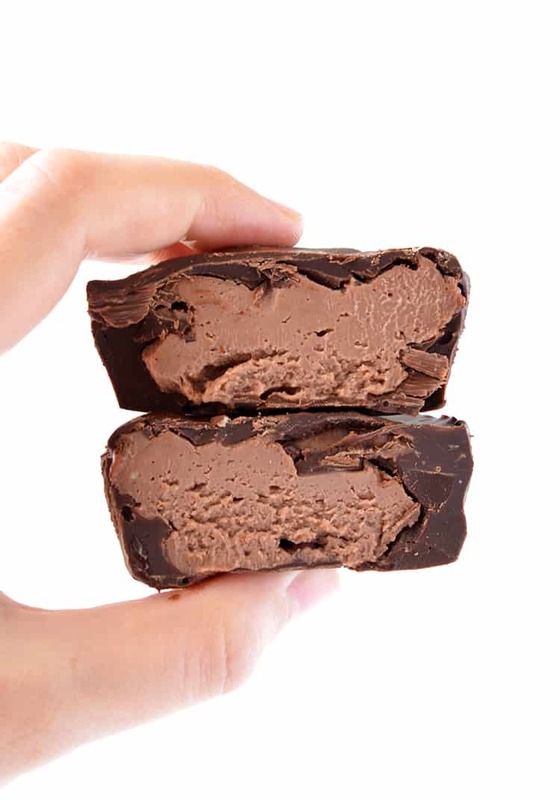 Place chocolate in a heatproof bowl and microwave until melted and smooth, making sure to stir every 30 seconds. 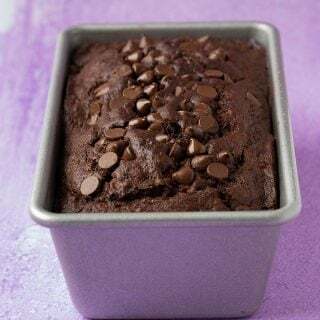 To assemble chocolate cups, add approximately 1-2 teaspoons of chocolate into the bottom of your cupcake liners, ensuring it covers the entire base. Add a tablespoon of Nutella cheesecake mixture and place it on top. Make sure the cheesecake doesn’t touch the side of the liner so there’s room for the chocolate to completely cover the sides. Generously spoon more chocolate over the cheesecake mixture so it is completely covered. Repeat with remaining chocolate and cheesecake mixture, until you have 12 chocolate cups. 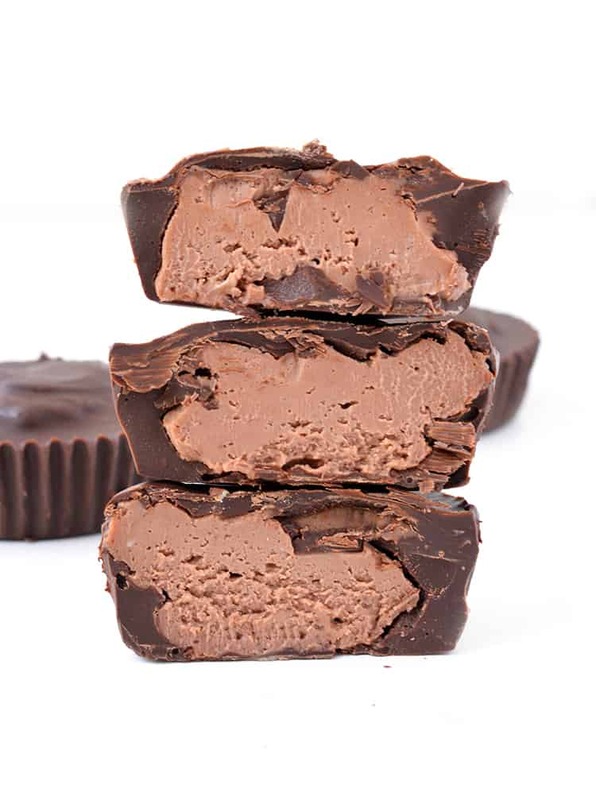 Pop chocolate cups into the fridge for two hours or until set. Store in the refrigerator or the freezer. 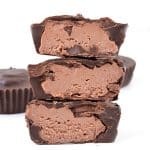 I prefer to use dark chocolate for the shell or a mix of half dark and half milk chocolate. You can use whatever chocolate you prefer. 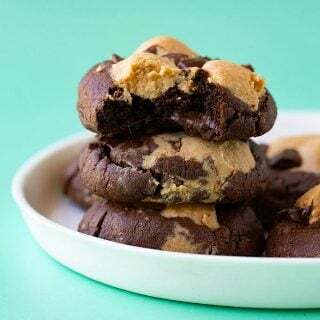 These look amazing and I’m definitely going to try making them, however they’re a little on the big side for my liking. I have a 24 hole mini muffin pan, do you think I could keep the same quantities and make them half the size? Have you tried them mini sized before? I’m wondering if the filling would get ‘lost’ in the chocolate in a small sized cup. Thanks for the advice! I’ve just finished making these in mini size. I piped the cheesecake mix in rather than using spoons because I didn’t think I’d get it neat enough. I found I had enough left to make two individual cheesecakes for dessert, result! The chocolate amount was perfect even for mini versions. I used one teaspoon on the base and two to cover.